OPSI was founded by the Ohio Hospital Association, the Ohio State Medical Association and the Ohio Osteopathic Association. Through this collaboration and common effort, OPSI works with hospitals and health care workers to improve health care outcomes in Ohio. Its mission is to be the leader and catalyst in developing and transforming health care into a reliable and safe delivery system. OPSI was the first state designated Patient Safety Organization by the Agency for Healthcare Research and Quality. The federal designation allows OPSI legal authority to collect medical error data from Ohio hospitals without subjecting individual data to unintended use as evidence in medical malpractice lawsuits. Hospital participation with a Patient Safety Organization is voluntary. Patient engagement and involvment is vital to the delivery of health care. OPSI is proud to provide information to patients seeking health care services including prepartion for a hospital visit, medications safety and more. Click here for resources to help patients understand health care issues impacting them. Click here for resources related to medication safety, surgical and procedural safety, infection prevention, general safety, safety culture, leadership resources, health literacy and best practices. Ohio hospitals are committed to providing the best health care to patients. Every day of the year, caregivers work to provide the best care possible for every patient, every time. Patient safety and health care quality is a top priority for Ohio hospitals. Patient Safety Awareness Week is an annual education and awareness campaign for health care safety. From patients to care providers, from the front lines to the executive suite, from the patient and family advocate to the corporate solutions provider — we are all united in the goal of keeping patients and those who care for them free from harm. Speakers: Rear Admiral Jeffrey Brady, MD, MPH, United States Public Health Service; Lisa Schilling, RN, MPH, CPHQ, vice president of Quality, Safety and Clinical Effectiveness at Stanford Health Care; and Tejal K. Gandhi, MD, MPH, CPPS, chief clinical and safety officer, IHI. Tejal Gandhi is the chief clinical and safety officer at the Institute for Healthcare Improvement and president of the IHI/NPSF Lucian Leape Institute, will present on culture of safety. Gandhi is a prominent advocate for patient safety at the regional, national, and international levels, driving educational and professional certification efforts and helping to create and spread innovative new safety ideas. 2018 Report: Agency for Healthcare Research and Quality announces hospital-acquired conditions declined by 13 percent between 2014 and 2017, preventing an estimated 20,500 deaths and $7.7 billion in health care costs. Please contact Rosalie Weakland at rosalie.weakland@ohiohospitals.org at the Ohio Hospital Association for more information or click here to learn more. 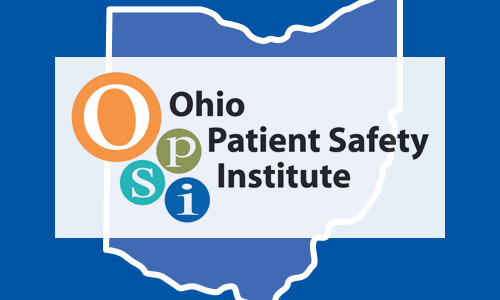 OPSI's Board of Directors is composed of a multi-disciplinary team of health care professionals through out the state of Ohio.